Moved with family to Wellington in 1849. Worked in Charles Barraud’s pharmacy for a time, before commencing nursing training at Wellington Hospital in 1885. Completed a certificate in nursing in 1887. When the Matron, Elizabeth Hermansen became ill in 1888, Miss Augusta Godfrey was appointed to succeed her but she was away in England. Ellen was therefore acting Matron from 1888 until 1890 when Miss Godfrey returned. 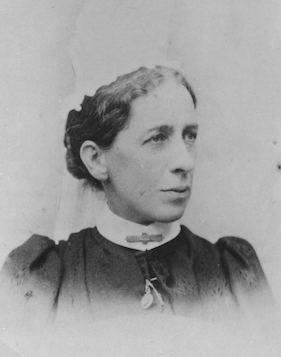 She then became Matron at Palmerston North Hospital and also ran the hospital pharmacy. In 1899 she was formerly registered as a pharmacist. Last updated 20 March 2017.